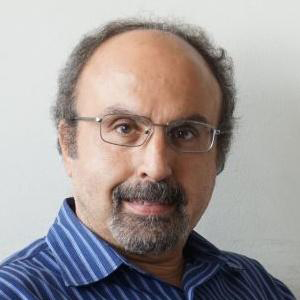 Dr. Reyhanoglu is currently the Glaxo Wellcome Distinguished Professor and Chair of Engineering, and the Director of NC State-UNC Asheville Joint Engineering Programs. His extensive research makes use of advanced mathematical techniques and models that arise from fundamental physical principles. His major research interests are in the areas of nonlinear dynamical systems and control theory, with particular emphasis on applications to mechanical and aerospace systems. Dr. Reyhanoglu has published three edited books, authored and/or co-authored six book chapters and over 130 peer-reviewed journal/proceedings papers, which, as of 2018, have resulted in around 6000 citations and an H-index of 28 according to Google Scholar. He served on the IEEE Transactions on Automatic Control Editorial Board as an Associate Editor from 2001 to 2007, on the IEEE Control Systems Society CEB as an Associate Editor from 1996 to 2001, and on AIAA Guidance, Navigation, and Control Technical Committee as a member from 1999 to 2002. He also served as International Program Committee member for several conferences. Dr. Reyhanoglu is currently an Editor of International Journal of Aerospace Engineering. Dr. Reyhanoglu established a theoretical framework for a class of inherently nonlinear engineering control problems using tools from differential geometric control theory. He has applied his theoretical results to constrained dynamical systems, including wheeled mobile vehicles and space multibody systems. He has directed his recent research efforts towards the control of underactuated mechanical and aerospace systems, including flexible robotic manipulators, autonomous marine vehicles, and space vehicles. His current research also includes the control of unmanned aerial vehicles, thermoacoustic systems, and aerial robots.